The goal of my parenting education presentation is to offer your participants new perspectives and solutions to the challenges they are facing. They’ll leave with feelings of hope and confidence because they can easily apply the Ally Parenting philosophy and strategies to their daily life and get immediate positive results. I have a number of presentation topics available for your event (see below), all of which can be tailored to fit your individual needs and event goals. How do I keep communication open with my child when they are upset? How can I give advice that my child will accept? How do I create a family where we listen and talk with each other instead of yelling so much? I’d love to bring my expertise and strategies from Ally Parenting to your next event! Please contact me to see how I can help your organization. I have a number of presentations available, all customizable to fit your unique audience and event goals. Additionally, we can take any topic from the Ally Parenting book and customize that into a presentation for your group. Here are some examples of presentations I’ve delivered for clients. When our kids are stressed out or in pain, all we want to do is fix things. Learn how to handle your own stress — and reduce your child’s — by becoming the effective listener your kids’ need. We all want our children to grow into capable adults. Learn how to teach your kids critical independent life skills by knowing when to direct them, when to solve problems together, and when to support their own problem-solving process. Explore ways to build your children’s self-esteem through parenting actions that empower. Develop beliefs and actions that positively impact your children’s inner strength, courage, and ability so they can successfully handle life’s frustrations and challenges. Create a happy family that solves problems together. You’ll discover how to talk with your kids about homework, chores, and other important issues. When you learn my 5 Step Problem Solving Process, your kids will feel connected to you and confident in their family’s ability to tackle life’s problems together. Learn how to defuse your reactions in the moment so that you can turn parent-child craziness into cooperation. Discover how to set limits and expectations that reduce resistance and build cooperation using strategies backed by cognitive developmental research. See Cynthia in action with her interactive workshop style presentation at Ralston Middle School in Belmont, CA. 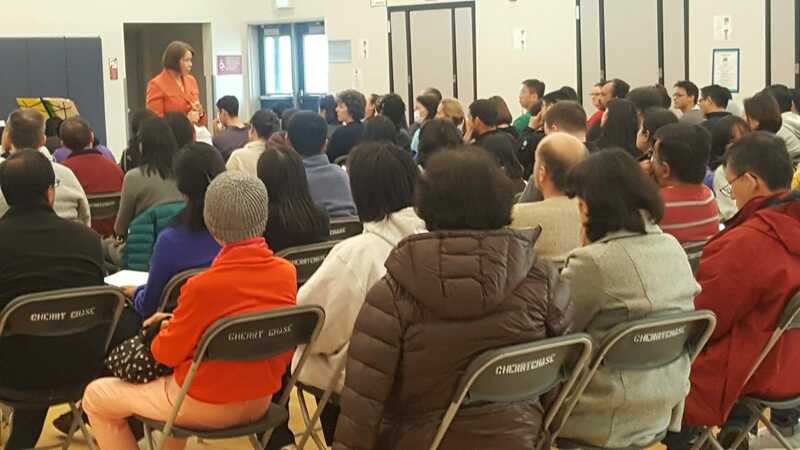 Cynthia always engages with the audience and teaches the parents how to apply the tools she presents in their own families. 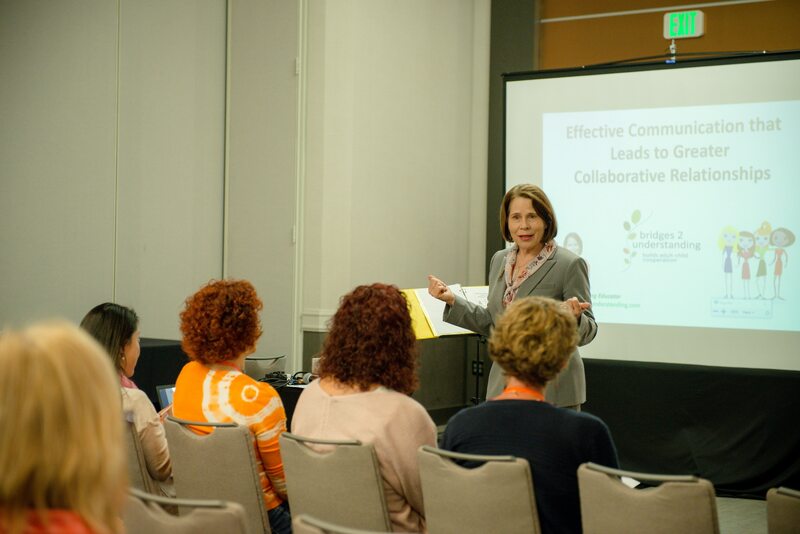 "Cynthia's workshop was relevant, informative and immediately applicable. Her humor, engaging style and candor encouraged a high level of participation. I was also impressed by Cynthia's attention to detail and the time she spent making sure the workshop went off without a hitch." "Cynthia Klein's down-to-earth, humorous approach to parent education really resonated with our audience of elementary-school parents. The strategies she shared, along with anecdotes from her own life, gave parents a sound plan for connecting with their kids." "Cynthia’s presentation to the pediatricians on How to Avoid Power Struggles and Gain Cooperation with Strong-Willed Children was great! It was educational, fun, interactive, and understandable. It is easy to see that Cynthia loves teaching and helping families become happy." 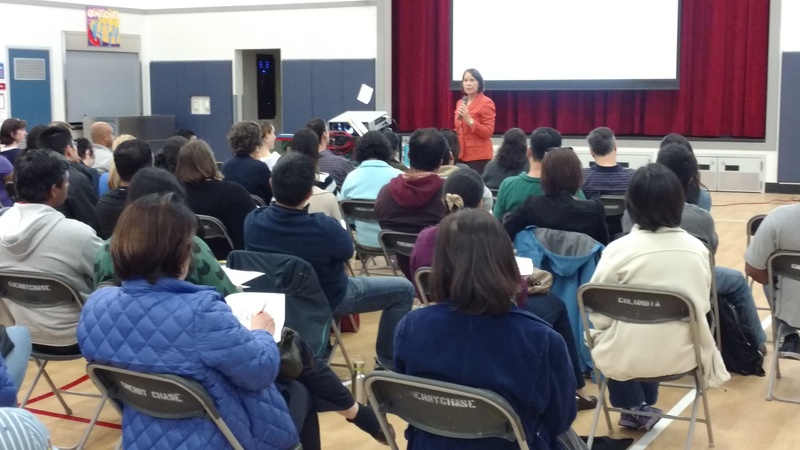 "Cynthia's parent education workshops have been a great benefit to our staff, students and community. Her topics are timely and relevant and the response on campus has been huge. Her philosophy of building peace within the home has been a refreshing approach to parent coaching." "Cynthia Klein is one of our go-to Parent Educators at Northside Branch Library. She is a crowd favorite with our customers and we look forward to having her for future programs!"